Femoroacetabular impingement (FAI) may contribute to hip and groin pain, buttock pain, pelvic or low back pain and referred pain into the thigh. Is conservative management effective in patients with FAI, or is surgery required? 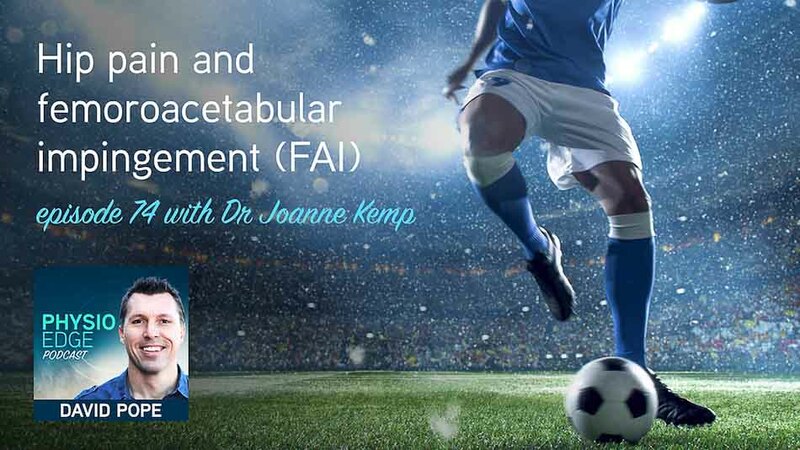 If we can treat FAI conservatively, what is the best treatment, and how can you tailor your treatment to your individual patients? What is FAI, and how can you identify it? Is FAI just a normal finding? Griffin et al. 2016. The Warwick Agreement on femoroacetabular impingement syndrome (FAI syndrome): an international consensus statement. Articola et al. 2014. A Cam Deformity Is Gradually Acquired During Skeletal Maturation in Adolescent and Young Male Soccer Players. A Prospective Study With Minimum 2-Year Follow-up.